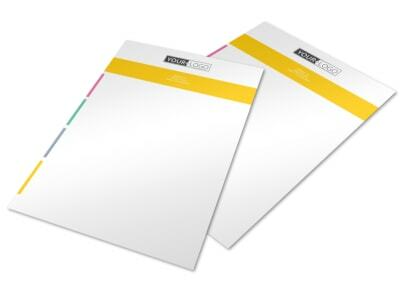 Make sure every piece of outgoing mail from your institution has a professional look when you customize your own letterhead using our education and training letterhead templates. Let your letterhead speak for you when your letter, invoice, announcement, or other mailing arrives in its recipient’s hands by customizing your design using our online editor. Select from a bevy of fonts, colors, and other elements, and then upload your organization’s logo to give the design an authentic feel. Go for our professional printing service using CYMK processing and premium paper stock, or opt for in-office printing from your own location for added affordability.